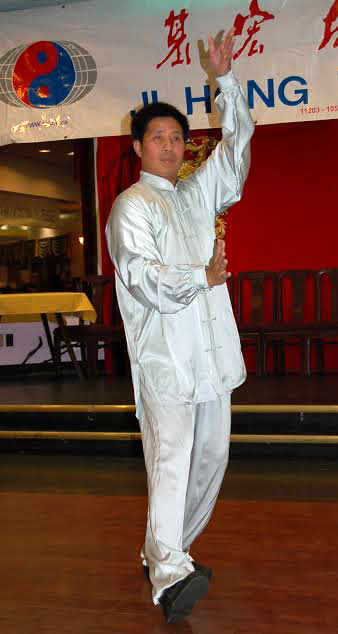 The Hao style is one of five major Tai Chi quan. Hao style teaches how to generate qi (chi) within the body, develop the psyche through movement, and mental awareness. The style is very compact, powerful, and effective; it is also referred to as the Classic Wu style. Tai chi combines awareness of breathing, meditation, and physical movements, and is believed to be grounded in the Taoist tradition. The concept of yin and yang — polar opposites contained within the whole — and the idea that all things are connected by an invisible force called qi are key elements in virtually all styles of tai chi. Regardless of style, the general goals of tai chi are to bring yin and yang into harmony in order to allow qi to flow. It is also important to note that although tai chi is a relatively low impact exercise, anyone with a serious health concern should consult a physician before participating in tai chi.